HireMojo | How do I close a job? Home › Employers › How do I close a job? This can be done 1 of 2 ways. ​1. 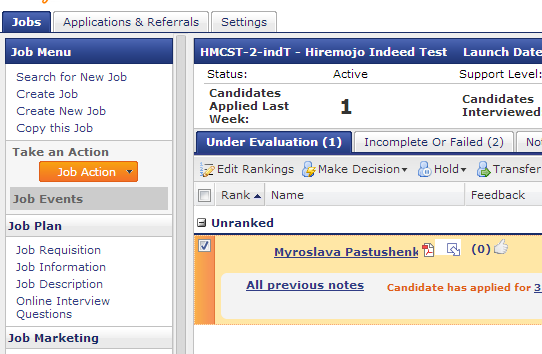 You can log a hire and then close the job for any hires made through HireMojo by clicking the box by the candidates name and choosing Hire under the Make Decision drop down menu. 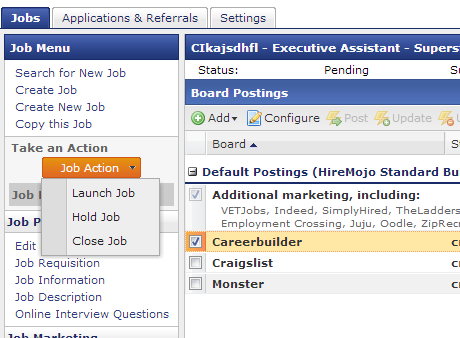 Once you close the job, an email will be sent out to all of the candidates saying that the position has been filled. Now your position has been closed and you are ready to launch another!